Here are some keys to a consistent and effective float serve, as explained by Walt Weaver, head coach of Mizuno Northern Lights Juniors. 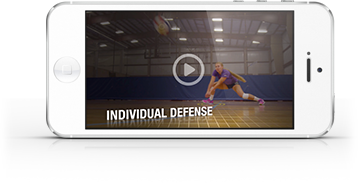 In the video, Weaver says that servers should think of themselves as a loaded gun, pointing their shoulders to the desired target, loading and following through toward where they want the ball to go. How to prepare before the serve. The proper execution of the simultaneous toss and step. The contact point and follow-through. He also explains the 12 most common errors that new players make when attempting a float serve.